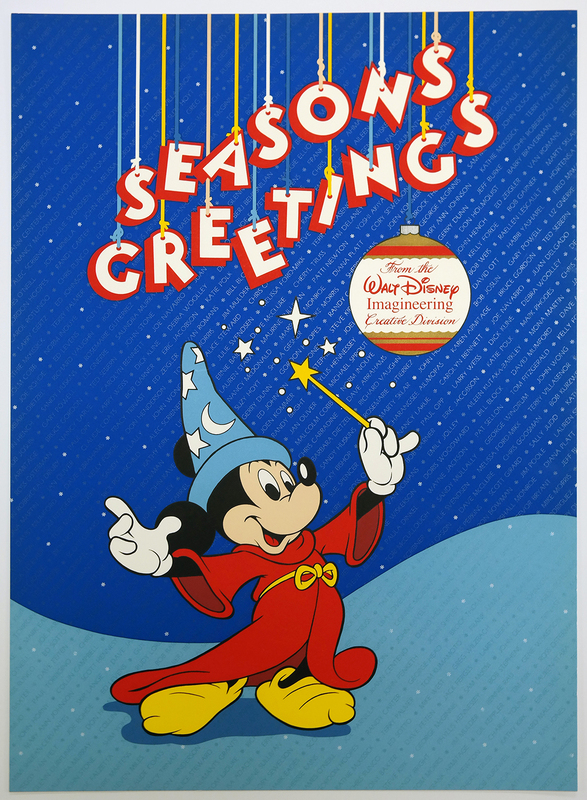 This is an original poster created for the members of Disney's Imagineering team as a giveaway for the holidays. 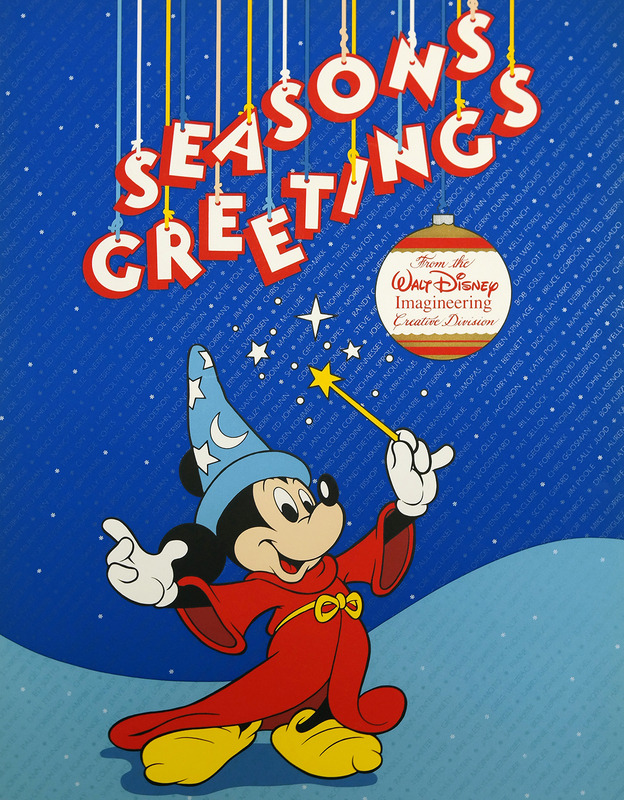 The gorgeous poster has veyr lush colors that feature a reflective monochromatic printing, highlighting the names of the then current Imagineers. The poster is in excellent condition, has been stored flat, and will ship rolled. The overall measurements of the poster are roughly 36" x 24".